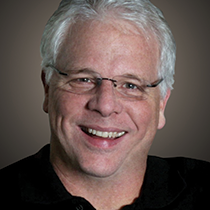 Pastor Mike Glenn has discovered that what is beautiful is also true. And it is through beauty that God shows Himself. Mathematicians have a peculiar test for the truth of a mathematical formula. According to them, a formula cannot be true if it is not beautiful. A mathematical formula that is correct has a certain elegance about it. When you write it on the board, it presents itself well balanced, clean, even pure. The observer recognizes a certain beauty in the way the formula is written. That formula has a better chance of being true than a formula that is clumsy or ugly when it is written on the board. Since I read that several years ago, I’ve held that understanding in the back of my head. Here is what I have discovered: more times than not, what is beautiful is indeed true. Certainly I am not talking about our world’s superficial definition of beauty. Beauty is indeed more than skin deep. But a life that is lived beautifully is a life that is true. Nature, in its elegance, is beautiful and therefore, one of the truest things I know. The love a mother has for her child, the love of a newly engaged couple, the determined care of an artist—all these are beautiful and all these are true. So, I guess, one of my unspoken goals in life is to live a beautiful life. I think if I can do that I can live a life that is also true. I think one of the reasons God made it this way is because a beautiful life is attractive and will cause people to come around and ask you about your life, and give you a chance to share the center of all beauty—Jesus Christ Himself. I think the mathematicians are right. I think beauty is indeed truth, and I think it is through beauty that God shows Himself to us. What have you noticed in your world that is beautiful? What have you noticed in your world that is true? What would it take for your life to be beautiful, and therefore true?